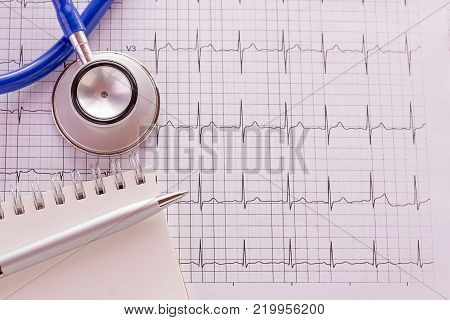 cardiogram › Buy Poster of Blue stethoscope and cardiogram pulse trace concept for cardiovascular medical exam. Medical and health concept. Poster of Blue stethoscope and cardiogram pulse trace concept for cardiovascular medical exam. Medical and health concept.